This time of year hot, bubbly dips fresh from the oven really hit the spot. Here’s a delicious, quick and easy dip. If you’re like me and love the flavor of jalapenos, but not necessarily the heat, be sure to remove the seeds and ribs of the peppers. 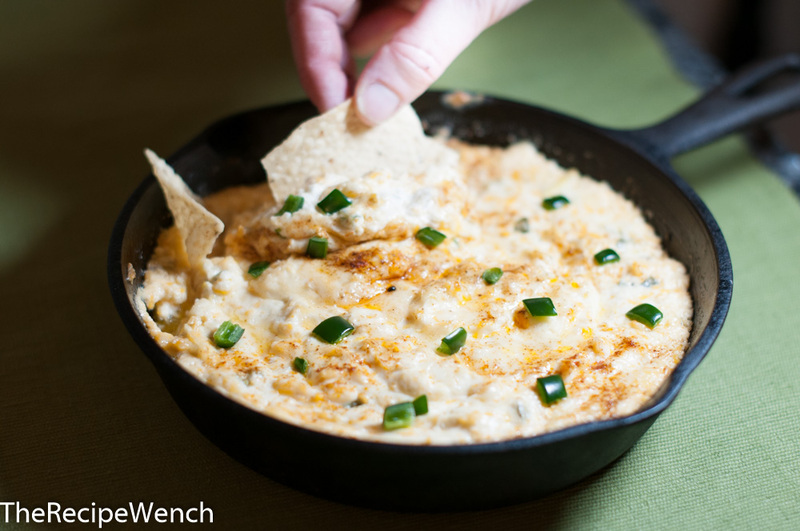 Serve this dip with tortilla chips or even sliced baguettes! Dig in! In medium bowl, mix remaining ingredients, reserving 1/2 cup parmesan. Spread dip into ovenproof dish. Top with reserved parmesan, sprinkle with paprika and bake until dip is thoroughly heated and parmesan is nicely browned (about 20-30 minutes). Oh wow, this looks SO good! We love snacking on the weekends and love it even more if it's spicy! Thanks for the great recipe!